These Grain-Free Zucchini Fries + Zesty Ranch Dip from The Whole Smiths are brought to you in collaboration with Thrive Algae Oil. 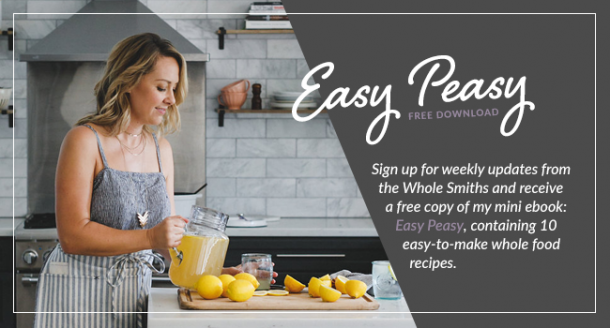 Grain-free, paleo and absolutely delicious! This year Brad and I decided we needed to go gangbusters on our garden. Like full on, maybe we call ourselves part-time farmers, type of gangbusters. In the past we’ve had a successful garden but it always left me wanting more. As in more, more. Like lots more veggies, tomatoes, strawberries etc. I wanted to be able to have a harvest large enough to share with friends, family and neighbors. And apparently now to make all the fried zucchini my hearts desires. 15 tomato, 8 squash plants, 8 strawberry plants, some eggplants, peppers and numerous other types of bounty later, I think we can safely say we will have more than enough to go around. And then some. We already have about 10 spaghetti squash on the vine that should be ready to be harvested in the next week or so. With that being said, my mind is already coming up with new recipes and ways to use all of this fresh produce up. 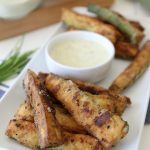 Like these Zucchini Fries! 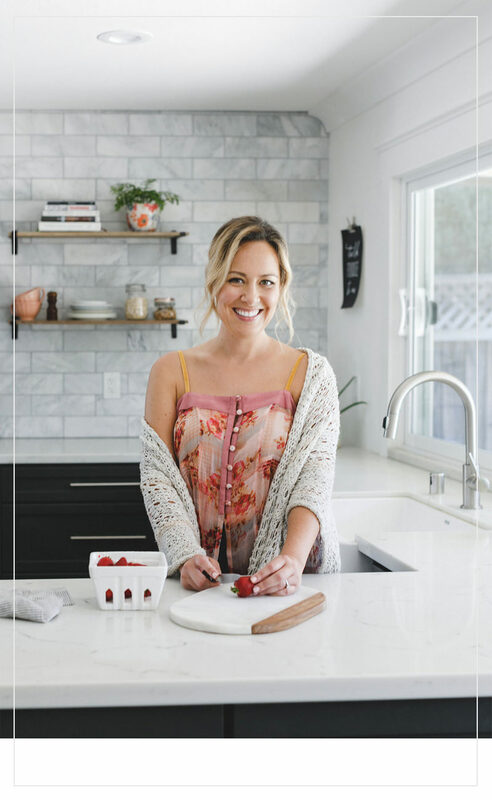 It was perfect timing as well as I recently learned about Thrive Culinary Algae Oil and once we decided to partner together to showcase their algae oil, I knew exactly what I needed to make. 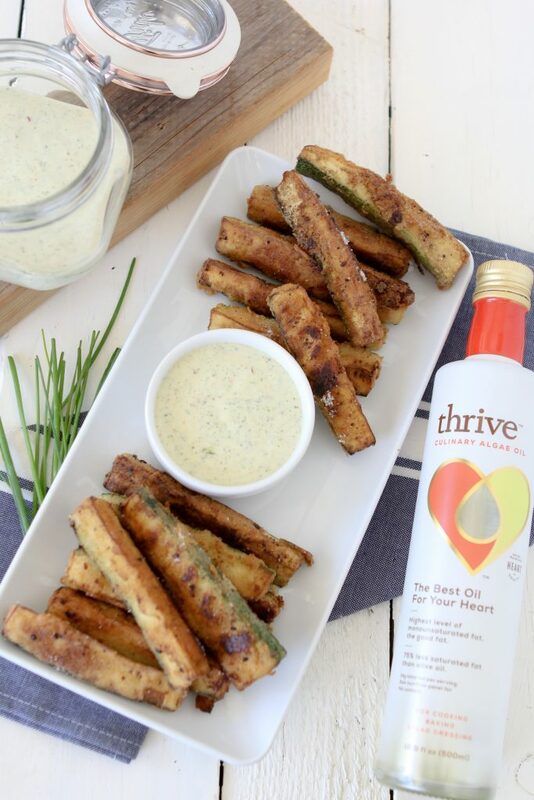 Not only was I able to use their culinary algae oil to fry the zucchini, I was also able to successfully use their oil in a mayonnaise that would be a base for an amazing ranch dip. To say this recipe came together seamlessly would be an understatement. I haven’t even gotten to the part where I tell you how amazingly delicious it is! If you’re like me, you probably haven’t heard of algae oil as a viable source of healthy fats. But the truth of the matter is that it’s INCREDIBLY heart healthy as it has the highest percentage of monounsaturated fats (MUFAs) coming in at 13 grams per serving. Most olive oils have approximately 75% MUFAs where as Thrive’s Culinary Algae Oil comes in at 90%. It’s also 75% lower in saturated fats than olive oil with only .5% of a gram, which was demonstrated in the frying. Typically fried foods leave me feeling so heavy and greasy, however this just wasn’t the case when using algae oil. There was no greasiness, no heaviness. 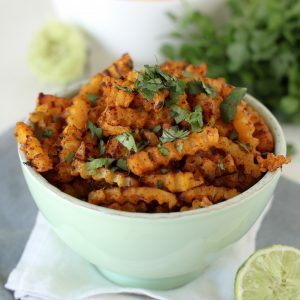 These zucchini fries still retain the taste and satisfaction that comes with frying minus the residue. It was so light! It’s smoke point comes in at 485* which makes it perfect for frying foods. As far as taste, it’s just as light. I feel like you could use it in place of any olive or avocado oil and not have the flavor change one bit. 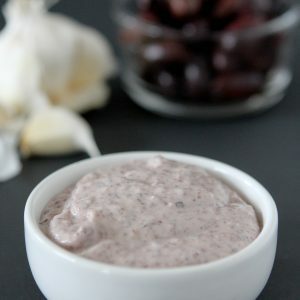 In fact, it’s milder than olive oil which worked particularly well with the zesty ranch. 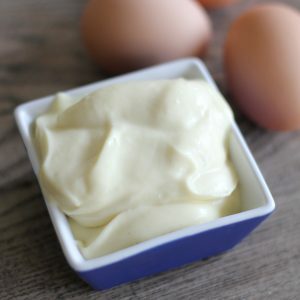 To learn how to make the mayonnaise base, hop over to my 30-Second Homemade Mayo recipe. I’ve updated it to also give you the option of using algae oil now as well. Needless to say, I’m a huge fan of Thrive’s Culinary Algae Oil and will continue to use and recommend it in recipes. 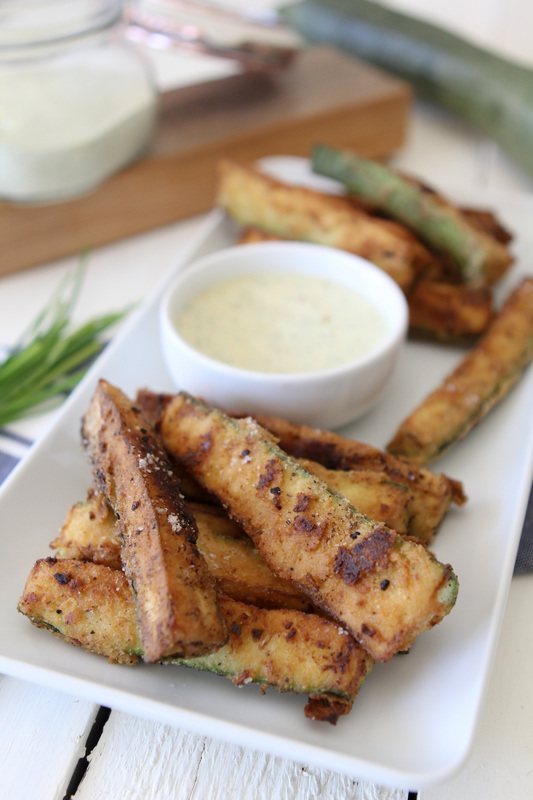 Zucchini Fries + Zesty Ranch Dip from the Whole Smiths. An incredibly light and heart-healthy way to fry up your veggies! 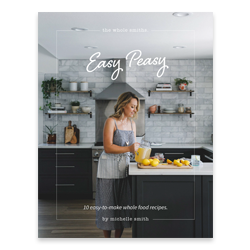 Paleo-friendly, vegetarian and gluten-free.